Apart from roofs, ceilings, floorings, sidings, another element of your house that requires your attention are the windows of your house. You very well know that the windows should be made up of strong and durable glass. Apart from the glass, the material which is holding the glass in place should also be strong and durable. It should be able to hold the glass in the window in all conditions, all kinds of climatic conditions. With the material needed to hold the glass in place, the window also needs a siding for extra support. The siding of the window is applied to hold the window in place. The siding which is used to hold the whole window and its glass in place is called a trim. There are many options for window trims. There are many materials out of which the window trims can be made up of. But then how to install siding around windows is the question. Installing the siding before you are getting the window fitted is easy and simple. But the real complexity lies in installing the siding after the window has already been installed. Just like it happens when you decide to renovate your house and you want window trims to be installed around all the windows of your house. There are different materials that can be used to make the trim of the windows. Vinyl window trim adds a decorative touch to windows. There are many options for window trims. 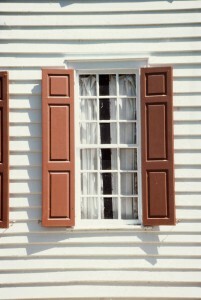 One such option is Vinyl siding window trim. This window trim siding is made up of vinyl. Vinyl gives the feel and the look of plastic, but it is not exactly plastic. Vinyl is a very strong and durable material. It is able to withstand all the effects of the climate all year. It will prove to be the best option of window trim siding. Vinyl is not very expensive also. That is the reason why getting vinyl siding window trims for the windows of your house will prove to be the best and the most economical option. The vinyl siding is available in pieces and it has to be assembled according to the size of the window. It is also very important to take into consideration the siding which is already on the walls. Since you disturb the wall surface of the house to install trims to existing windows, the siding which is already there on the walls of the house or the building also gets disturbed automatically. You must be very careful that you do not isolate the siding of the walls of the house in the process of fitting the windows with new trims. You must be extra careful when you fit window trims on wood sidings. In case of wood sidings you must be careful that the siding does not get loose and comes out of the wall. We have discussed about the trims that should be on the windows to hold the window and its glass on place. We have also discussed about the different materials out of which this vinyl siding window trim can be made up of. The process of installation of the window trim over the siding that has been previously installed on to the walls of any residential or commercial property can also be considered. There are many factors that have to be taken care of during the installation process of this vinyl siding window trims on the windows of any property.